Every year, the Beats of Cochlea festival brings talented musicians from all over the world to make music together in Warsaw, Poland. These musicians play many different instruments and musical styles, but one thing unites them: they all use a cochlear implant, or other hearing implant, to make music. 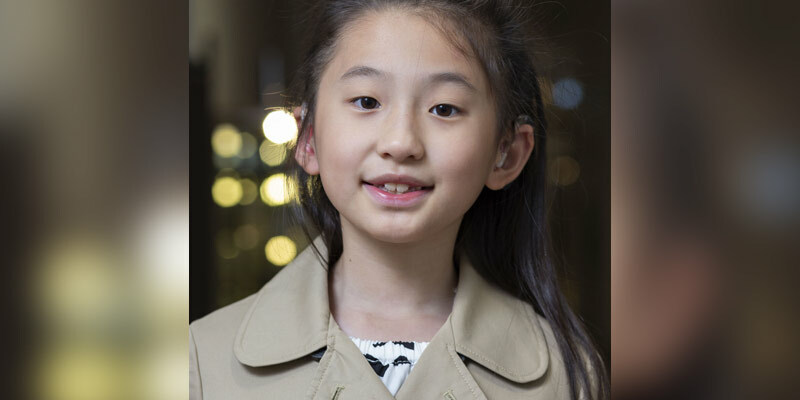 One of the youngest participants this year was 9-year-old Shiang-Tzu from Taiwan, who demonstrated her amazing piano skills in Warsaw. Before the festival began, we caught up with Shiang-Tzu and her mom, Nai-Wun, to find out all about playing the piano with a cochlear implant. My name is Shiang-Tzu. I am 9 years old and in second grade at elementary school. I have two parents and one older sister. I like being with my family, and my hobbies include TV, movies and cosplay. What was it like getting a cochlear implant? Shiang-Tzu: I don’t remember anything about what it was like before my implant, because I was very little at that time. Nai-Wun: When we found out Shiang-Tzu couldn’t hear, we didn’t know what to do. We knew that life would be tough, and that we must fully prepare for the situation. After Shiang-Tzu got her implant, she could hear a lot better. She now speaks really well! How does your cochlear implant help you in everyday life? Shiang-Tzu: My implant is very important for me. I like it because it brings me sounds. It’s necessary for my studying. It helps me to communicate with others at school, and I use an FM system to help me to hear clearly in lessons. When someone asks me about my cochlear implant, I always tell them about my hearing situation, and that the implant helps me to hear well. Nai-Wun: I felt it was important for Shiang-Tzu to have an interest in music, so she could hear better and better. I wanted Shiang-Tzu to hear more sounds, improve her learning and get more sound experiences from the real world, especially in Chinese tone language and music. Is it easy to play the piano with a cochlear implant? Shiang-Tzu: At the beginning, it was really a challenge. But my implant helps me a lot. Nai-Wun: In the very beginning, she really wanted to give up learning an instrument. She needed lots of encouragement and continual support. I spend time playing piano with her every day. But now she’s been playing for longer, she plays to bring joy to the day. How do you feel when you hear music? Shiang-Tzu: Hearing wonderful and touching music is one of the best things about hearing with my cochlear implant! “Für Elise” by Beethoven is one of my favorite sounds. Nai-Wun: I feel very touched and grateful when I listen to the beautiful music played by my hearing-impaired child. I am absolutely sure that playing music is good for Shiang-Tzu, and it can be one of her skills in her future career. How did you find out you were going to Warsaw? Shiang-Tzu: I got the message from MED-EL Taiwan. I am very excited about attending Beats of Cochlea! Nai-Wun: We are very much looking forward to Beats of Cochlea. Shiang-Tzu was able to hear me telling others about the trip, which was a very special moment. Beats of Cochlea is a valuable opportunity to get guidance from professional musicians. I believe that this will certainly give her a more open vision in her future study of music. We will cherish and make the most of the experience! And finally, what would you like to when you are older? Shiang-Tzu: I would like to be a music teacher. Or a physiotherapist. Elizabeth’s hearing loss ended her career as a professional musician. Find out how a cochlear implant helped her play music once again!